Prices and times. Exhibition visits and guided tours of the building are free for everyone. Individual visits to the Hôtel de Ville have been suspended until further notice. Free and regular temporary exhibitions on the theme of Paris. Entrance at 29 rue de Rivoli. Every day except on Sundays and bank holidays. Wonderful free exhibits. The metro stop of Hotel de Ville is on line 1 and we were staying five stops away on the same line. It also lies directly en route to Notre Dame Cathedral so looked like the most logical place to start. The building has an awesome facade and lovely fountains. Makes for some nice photo-ops. 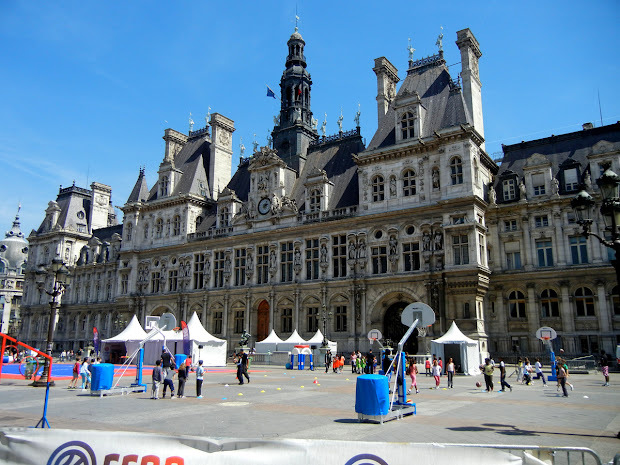 Paris: Free cultural exhibits at the Hôtel de Ville. When you’re vacationing, a trip to city hall probably isn’t high on your list of things to do (unless you were visiting San Francisco circa 2004). But this is Paris, and city hall is the magnificent Hôtel de Ville. Moreover, it’s a place where you’ll find fascinating exhibitions on French culture – all of them free. My love for Paris hasn’t wavered. I spend as much time there as I can, wandering the streets and discovering new neighborhoods, seeing exhibitions at museums, big and small, popping into art galleries, visiting parks in every season, and checking out new restaurants and coming home to old favorites. Located in Paris City Centre, this hotel is within a 10-minute walk of Bazar de l'Hotel de Ville, Centre Pompidou, and Notre Dame Cathedral. Forum des Halles and Place de la Bastille are also within 1 mi (2 km). Hôtel de Ville Metro Station is only a 2-minute walk and Chatelet Station is 6 minutes. If you're visiting Paris before 18th March 2015 and are in the neighbourhood (which you probably will be, the Hotel de Ville being slap bang in the centre) then drop by and have a look at the Magnum photography exhibition here. It's free, and very good. 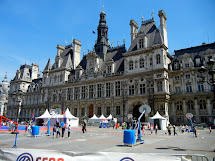 The Hôtel de Ville (French pronunciation: [otɛl də vil], City Hall) in Paris, France, is the building housing the city's local administration, standing on the place de l'Hôtel-de-Ville in the 4th arrondissement. The south wing was originally constructed by François I beginning in 1535 until 1551.